We’ve all been in a situation where nature calls at a crowded event and an empty toilet is nowhere to be found. Airpnp is an experimental service that aims to solve this problem — by letting residences and businesses rent out their bathrooms to people in their immediate location who need to use it. Airpnp is now available for users to lease out their bathrooms through a mobile optimized Web app, and native apps are in the works. The service itself will be put to test during Mardi Gras 2014 in New Orleans, which happens on March 4. There are currently a handful of toilets listed on the site spanning a range of prices — some bathrooms are free, while urinating at a hotel bathroom where “Tom Cruise, Nicholas Cage, Frank Sinatra, and Walt Disney have all peed” requires a payment of $10. Users can even rate their pee experience afterwards to see how each restroom ranks — though in a time of desperation, it probably doesn’t really matter how great the toilet is. 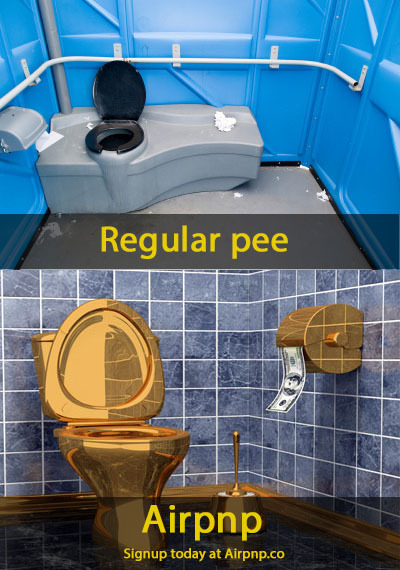 It seems like the so-called “sharing economy,” which includes Airbnb and ride-sharing services like Uber and Lyft, is here to stay — after all, it has now even spread to the most basic of needs: peeing.